Japanese Connections: The Birth of Modern Decor is the latest exhibition at Louvre Abu Dhabi. It looks at the influence of Japanese art on the development of modern decor at the turn of the 20th century. The exhibition is accompanied by a series of events that includes curated film screenings by me, my second film series for the museum after Cinem’Art this summer. 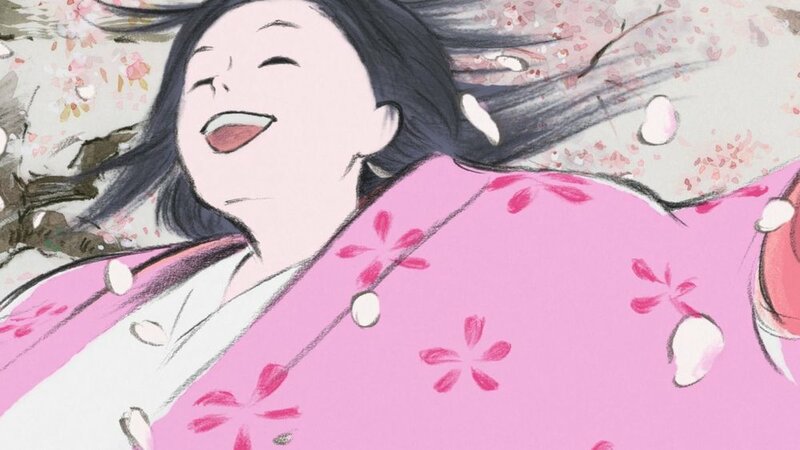 The film screenings for Japanese Connections includes a mix of experimental, classic and animated films and I’m looking forward to see how people respond to them. Each film has a link to Japan. Here’s the line up and schedule. All the films are free to attend, but you must register on the museum’s website for each screening. Using dazzling images of Mount Fuji from across the history of photography, the mountain inspires the artist and filmmaker Fiona Tan on both a philosophical and romantic journey. This art film project is in essence a film made entirely with stills, using dazzling images of Mount Fuji from across the history of photography. Ascent is a filmic experiment balancing delicately between documentary and fiction. As the narrative unfolds unexpected and surprising paths are explored. Together with the two protagonists the viewer climbs Mount Fuji across geographical, temporal and cultural divides. The woodblock prints of Hokusai are considered, but also paintings by Van Gogh, philosophical views stemming from Asian philosophy, mankind’s connection to landscape, Mount Fuji’s religious significance, recent Japanese history. But central throughout is a questioning about the nature of photography and how it is possible to create cinema using only the minimum of means. The Magnificent Seven is an Old West–style remake of Akira Kurosawa's 1954 Japanese film Seven Samurai. Yul Brynner plays Chris, a mercenary hired to protect a Mexican farming village from its annual invasion by bandit Calvera (Eli Wallach). As Elmer Bernstein's unforgettable theme music (later immortalized as the "Marlboro Man" leitmotif) blasts away in the background, Chris rounds up six fellow soldiers of fortune to help him form a united front against the bandits. The remaining "magnificent six" are played by Charles Bronson, Steve McQueen, Horst Buchholz, Robert Vaughn, James Coburn, and Brad Dexter. Though jam-packed with action, William Roberts's screenplay pauses long enough to flesh out each of its characters, allowing the audience to pick their own favorites. Emara is a web video series featuring the titular superheroine fighting crime in the UAE. This anime inspired series produced in the UAE features Moza, who by day is a teenage girl helping her mother run a tea shop, prone to spilling orders when things get too hectic and with little patience for rude customers. At night, she is Emara—a cape-wearing superhero who jets around the city, fighting criminals with her Arm Cannons. The screening will include all current five episodes of the web series followed by a post screening discussion. 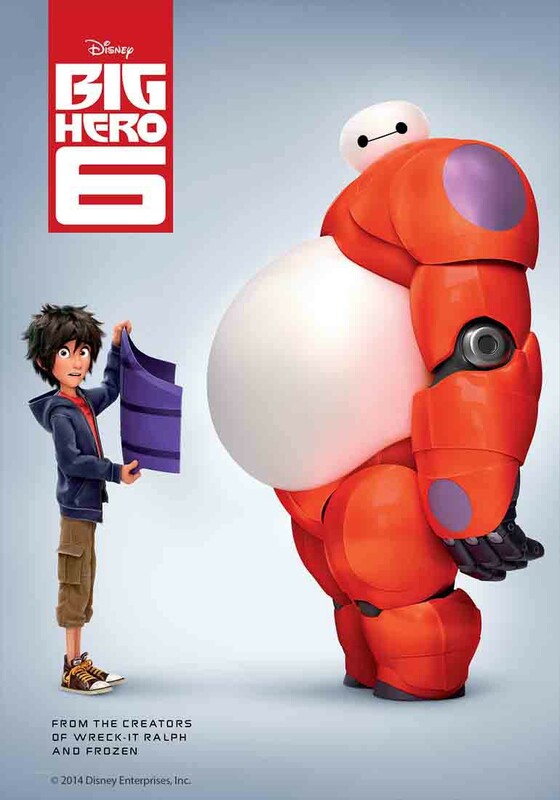 An action-packed comedy-adventure about the special bond that develops between Baymax (voice of Scott Adsit), a plus-sized inflatable robot, and prodigy Hiro Hamada (voice of Ryan Potter). When a devastating event befalls the city of San Fransokyo and catapults Hiro into the midst of danger, he turns to Baymax and his close friends adrenaline junkie GoGo Tomago (voice of Jamie Chung), neatnik Wasabi (voice of Damon Wayans Jr.), chemistry whiz Honey Lemon (voice of Genesis Rodriguez) and fanboy Fred (voice of T.J. Miller). A bamboo cutter finds a miniature girl and takes her home to his wife so they can bring her up as their own daughter. The girl grows unusually fast and, believing her to be a princess, the bamboo cutter uses gold he discovers to treat her like royalty, relocating his family from the mountains to a mansion in the capital city.